New CIBSE President Peter Y Wong presents his first monthly presidential blog following his inauguration last month, in which he takes a look at what the 30th anniversary of CIBSE ANZ means for the Institution. Welcome to my first President’s blog of my term – I hope that you find it useful. This blog will be a monthly insight into my intended path for the Institution, and will hopefully be an interesting perspective on issues affecting the engineering industry as a whole from the first Hong Kong President of CIBSE. In my Presidential address that I delivered at my inauguration, I listed reaching out to the world as one of my top priorities. CIBSE can only be as big and effective as its membership – it’s the members that create the knowledge and uphold our principles. It should be our wish and our mission to share these with others in and beyond our membership - all over the world. So it seems appropriate that my first blog is about my visit to the CIBSE Australia and New Zealand Region (CIBSE ANZ), to celebrate the 30th anniversary of their becoming an official overseas region of the Institution with the mission to reach out to others in the sector and spread CIBSE’s values. CIBSE’s history in the ANZ Region is almost as old as CIBSE itself, and 11 years after becoming the Chartered Institution of Building Services in 1987 there were already 200 members working there. 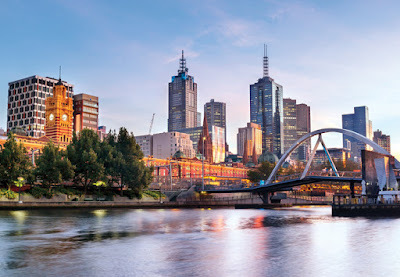 Beginning life with several successful Conferences in its first few years, the ANZ Region quickly established an impressive range of technical meetings, seminars and networking groups with the aim of raising the profile of Services in the built environment. The CIBSE ANZ story is a perfect example of what I hope that CIBSE can achieve in the world of engineering over the next few years: A truly grass-roots approach to growth that engages engineers all around the world to aspire to chartered status. Indeed, by drawing in membership overseas we can make our pool of knowledge both wider and deeper, which will create a stronger offering for the benefit of members and the industry at large. If CIBSE it to keep growing and developing as an UK organisation with an international footprint it’s not enough to rely on the exceptional work of our existing UK regions – we have to engage directly with local engineers working in other countries to find out what they need to help them, and what they know that can help us. It’s this aim that CIBSE AMZ have excelled in, building an impressive network of engineering contacts in industry and events who are able to contribute enormously to CIBSE. In two countries with strong engineering pedigrees and a great variety of environments at both land and sea, work on big projects such as NABERS and individual buildings have been invaluable sources of information and guidance that the whole CIBSE community have benefitted from. CIBSE have also been able to give back in return, by working to establish the building services industry as a voice in the ANZ built environment. The backing of an authoritative and respected voice like CIBSE’s lent the industry more weight in decision making and collective power greater than the sum of its parts. 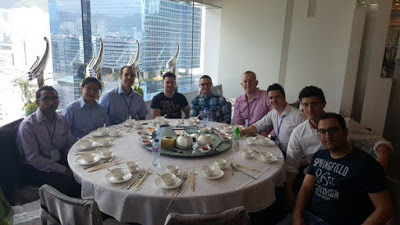 This symbiotic relationship of working together and learning best practice from each other is the future of CIBSE as it looks to expand its reach and knowledge ever wider around the world – I hope to be able to learn from them and strengthen the bond between CIBSE ANZ and the other regions, including my home region of Hong Kong.